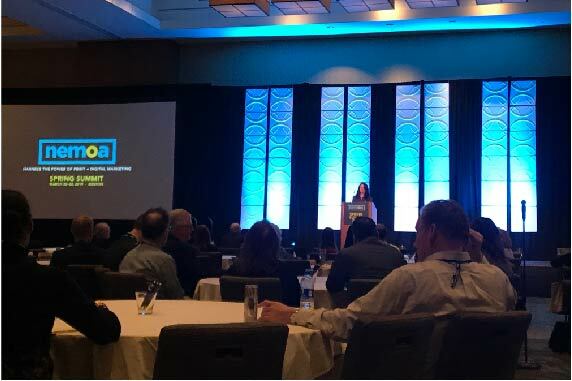 Last week I attended the NEMOA Spring Summit and immersed myself in session content, networked with data marketing leaders and enjoyed conversing with brands during my discussion-led roundtables as we reviewed Epsilon’s cross-generational marketing research and more. 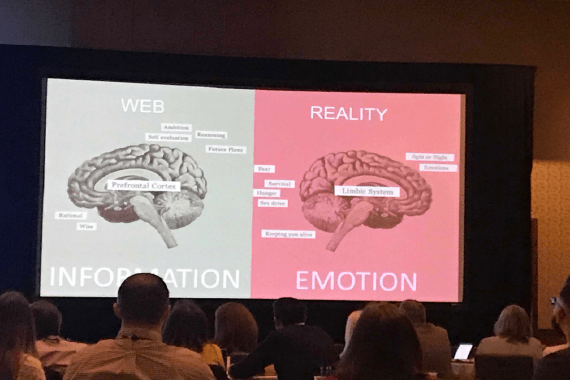 Sessions focused on how marketers are using new technologies like augmented reality, understanding the role of digital and realizing the importance of testing. Let’s explore further. Adding augmented reality to catalogs drives greater engagement and results: There’s been a lot of chatter in the marketplace about newer technologies like augmented reality (AR). In the opening keynote, Nicole Robbe, CEO and co-founder of Hoverlay, distinguished that AR is part of the ‘spatial web’. The web is about information, while the spatial web is about reality. In the spatial web, the product tells the story and evokes emotion. So how can the catalog become a vehicle to the AR experience? Marketers can integrate AR with their catalogs by adding quick response (QR) codes that activate mobile phone cameras and trigger a ‘digital twin’ of the product. This digital replication is lifelike and allows the consumer to preview features they’d see in-store. The home design brand Houzz leverages AR within their catalog. 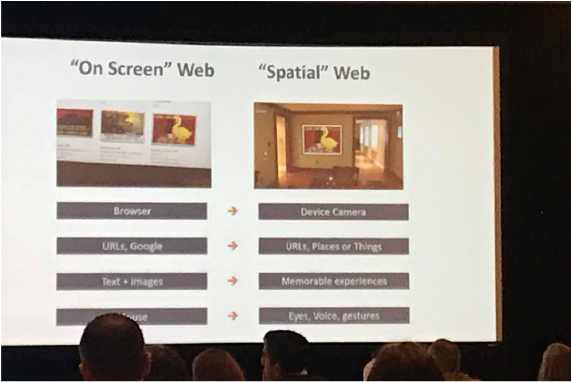 From a case study presented at NEMOA, consumers who use Houzz’s AR technology are 11 times more likely to purchase and 2.7 times more engaged, meaning they stayed on the site longer. So how did Houzz achieve success? By following a four step process: they discovered the story they wanted to augment, identified the emotions they wanted to generate, created a storyboard of the ideal experience and integrated the AR technology to implement the vision. Diversifying digital marketing strategies boosts success: Brands are at all different stages in their digital journey. 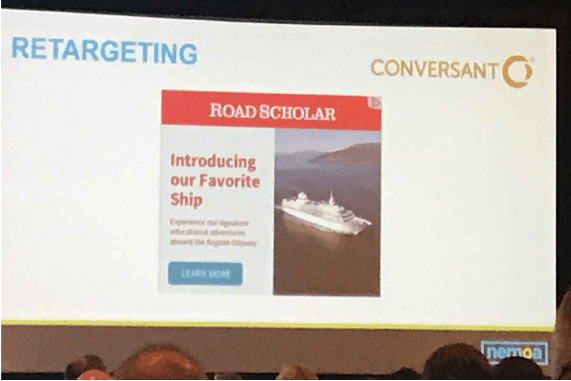 For brands in the beginning stages, Steve August of Road Scholar recommended website pop-up boxes (e.g. enter your email address to register for our newsletter) as an easy way to increase your email address database. Pop-ups have generated close to 5% of Road Scholar’s qualified emailed addresses. Additionally, incorporating retargeting strategies and display advertising into your digital marketing mix enhances consumer engagement. Studies have shown that only 2% of consumers who visit a website are converted to a sale during their visit. Well what about the remaining 98% who visited your website but did not take action? Having the ability to re-connect with these consumers with relevant messaging is essential. Road Scholar shared that they’ve recently introduced categories (e.g. easy pay travel) when communicating with specific segments of their customers. They learned seniors are more receptive to these categories (versus product promotions) and it encourages them to take action. Further, they’ve tested mobile display ads with other segments and learned it was a great outlet to share travel-type recommendations. Testing leads to incremental revenue: We all know that testing our data strategies is important as it provides insights into our program success. However, at times we resort to ‘assumption marketing,’ which is assuming you know your customers’ preferences which is based on marketing intuition versus data. This was the case for a retailer of tabletop, giftware and collectibles. Lenox assumed that the majority of their customers were purchasing from both their tabletop and collectibles categories, but following extensive testing, they learned that only 18% of their customers buy from multiple categories. Following this discovery, they shifted their marketing efforts to those who were most likely to buy from multiple categories and converted this segment from one to two purchases, leading to a lift of $1M in incremental revenue.